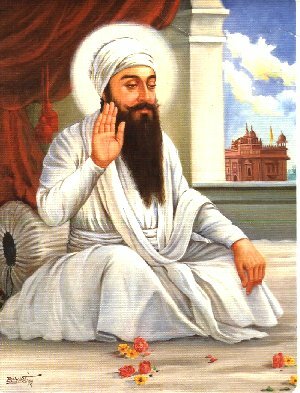 Shri Guru Ram Das ji are known to be the Chauthi Patshahi or the Fourth Guru as well as Guru who established the city of Amritsar. Sri Guru Ramdas ji kept alive the tradition of first three Gurus. Guru Ramdas was born in Lahore into a Sodhi Khatri family residing in Mohalla Chuna Mandi. By all accounts, the date of his birth was the second day of the dark half of the month Karthik in the Bikrami Samvat (1591 (24 September 1534). His parents Har Das and Daya Vati were known for their honest and pious living. Ram Das was popularly addressed as Jetha, being the first-born of his parents (Sanskrit word Jayeshth means the first). In the words of Macauliffe, “He was of fair complexion, handsome figure, pleasing and smiling face and not disposed to weep or cry in the manner of ordinary children”. From the beginning his outlook was other wordly, and he felt the happiest when he happened to be in the company of holy people. The village Basarke (now in the district of Amritsar) which was the native place of the third Guru Guru Amardas was also the place to which Jetha’s mother Daya Vati belonged. Like other children he too had immense fascination for his Nanake (the house of his maternal grandparents) and was a frequent visitor to it. During his stay at Basarke, it was his usual practice to go round the countryside hawking boiled grains. With his charming looks and winsome manners he soon won admiration from the men and women of Basarke and the villages nearby. Guru Amardas felt so much impressed with him that he decided to marry his second daughter bibi Bhani, to him. A very interesting story is narrated by almost all writers, old and new. One day the Guru’s wife seeing Bibi Bhani playing about remarked to her husband that as Bhani as grown up, they ought to search for a husband for her. The Guru agreed and ordered the search for a husband for her. Bibi Bhani’s mother saw a boy outside her door hawking some articles of food. On carefully observing him, she said “Search a youth like him”. 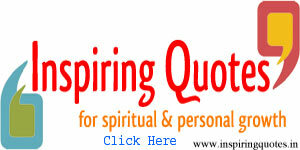 Hearing this Guru exclaimed “He is his own parallel, for God has made none other like unto him”. Saying this Guru called the youth and enquired from his about his whereabouts. After that he sent him with marriage presents to his father Har Das in Lahore and had the betrothal ceremony performed (1545). Punjab was attacked by Mirza Hakim, the ruler of Kabul, in 1565 in a bid to dislodge his half-brother Mughal Emperor Akbar from power. To meet the challenge Akbar Left Agra for Punjab in November 1565 and reached Lahore in February 1566. Mirza Hakim lost heart and beat a hurried retreat to Kabul. Akbar decided not to pursue him and stayed on at Lahore for more than a Year. He left for Agra in March 1567. When the Emperor was encamped at Lahore, a small representative of hostile Brahmins and Khatris proceeded to Lahore and lodged a serious complaint against Guru Amar Das The substance of the complaint as follows: “Thy majesty is the protector of our customs and the redresser of our wrongs. Every man’s religion is dear to him. Guru Amar Das of Goindwal hath abandoned the religious and social customs of the Hindus, and abolished the distinction of the four castes. Such heterodoxy hath never been heard of in the four ages. There is now no twilight prayer, no gayatri, no offering of water to ancestors, no pilgrimages, no obseques, and no worship of idols or of the divine salagram. The Guru hath abandoned all these, and established the repetition of Wahguru instead of Ram; and no one now acteth according to the Vedas or the Smritis. The Guru reverenceth not jogis, jatis, or Brahmans. He worshippeth no gods or goddesses, and he orderth his sikhs from refrain from doing so for ever more. He seateth all his followers in a line and causeth them to eat together from his kitchen, irrespective of caste – whether they are jats, strolling minstrels, Muhammadans, Brahmans, Khatris, shopkeepers, sweepers, barbers, washermen, fishermen or carpenters. We pray thee restrain him now, else it will be difficult hereafter. May thy religion and empire increase and extend over the world!” On receiving the complaint, the Emperor sent a special messenger to Goindwal asking Guru Amardas to see him. The Guru did nor agree to go personally on account of his old age but commissioned Bhai Jetha to wait upon the Emperor and to answer the allegations made against him at the court. Before Jetha set out for Lahore, the Guru is said to have spoken to him thus: “Thou art in mine image; Guru Nanak will be with thee, and none shall prevail against thee. The Khatris and Brahmans who have complained are ignorent and false. Answer truly all the questions put to thee. Be not abashed and fear nobody. If any difficul questions be put and thou art at a loss for an answer, then think of the Guru, and thou shalt be able to give a suitable reply. Vindicate before the court the true teaching of Guru Nanak. Falsehood cannot contend with truth”. The final and supreme test of Jetha’s spirit of service and sacrifice when Guru Amar Das wanted to select his successor just like the first two Gurus (and all the Sikh Gurus starting from the Guru Nanak Dev). The Guru asked both of his sons-in-law, Rama and Jetha to make him two platforms beside the Baoli at Goindwal. He held out the promise without telling them about the Guruship that he who did the better work in his eyes should receive the greater honour. When they completed their platforms, the Guru went to inspect them. Both the platforms were declared to be defective and they were asked to throw them down and rebuild them. In obedience to his command, new platforms were erected. These were also disapproved and ordered to be dismantled. On this Rama the elder son-in-law refused to build it a third time. He demurred, “The Guru hath grown old and his reason faileth him”. Jetha’s work was subjected to the same rigorous standard. He continued to build platforms which were then dismantled each time pronouncing it faulty by the Guru. This process was repeated seven times. Ultimately, Jetha clasped the Guru’s feet and humbly addressed him :” I am a fool; pray have regard for thy duty (bird) to me as thy son. I am erring and of mean understanding, while thou possessest all knowledge.” On hearing this Guru smiled and embraced him affectionately saying, “Jetha is a perfect being who hath become incarnate and the world following him shall be saved” The Sikhs were astonished on witnessing Jetha’s marvellous devotion and obedience, and henceforth began to recognize him as the image of the Guru. 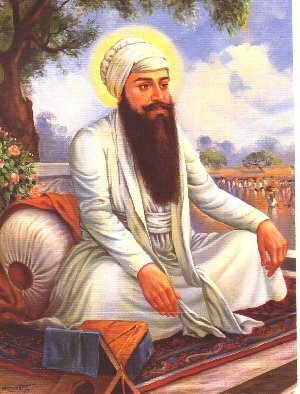 In 1574 A.D. Bhai Jetha succeeded Guru Amar Das as the fourth Sikh Guru under the name Ram Das. His pontification lasted up to 1581. Like his father-in-law he too had to deal with the hostile and perverse attitudes of Brahmans, Tapas and Jogis. Both Mehma Prakash and Suraj Prakash are replete with descriptions of such categories of people coming and holding long discussions with him on such subjects as observance of caste discipline, performance of rites and ceremonies, pilgrimage, reading of old religious texts, etc. One illustration will suffice to make it clear. Once a company of Jogis called upon him and questioned him as to why the atached no importance to the practice of Yog (celibacy) among his Sikhs. The Guru’s reply to this was that a man may wear a Yogi’s garb and keep chanting god’s name and test himself to various tests,but without devotion in his heart God will not enter it”. (Asa measure in Guru Granth, O Yogi). Guru Amar Das had devoted much of his time to the problems of definition and organization confronting the young emerging Sikh panth (called nirmal panth by sarup das bhalla). Lest the Brahmanical influence should reassert themselves over his followers, he had all along endeavoured to make the Sikh position in the matter of religious beliefs and practices as well as in social behaviour as definetive as possible. Simaltaneous he had made efforts to improve the organizational setup of the Sikh Society. 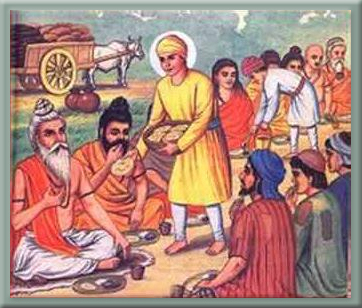 The introduction of the annual Baisakhi day, the construction of the Baoli, and the distinction drawn between sachi (authentic) and kachi (unauthentic) Bani (sacred compositions) were a few of the measures taken by the Guru in this connection. Guru Ram Das went ahead with the work thus begun by his master. 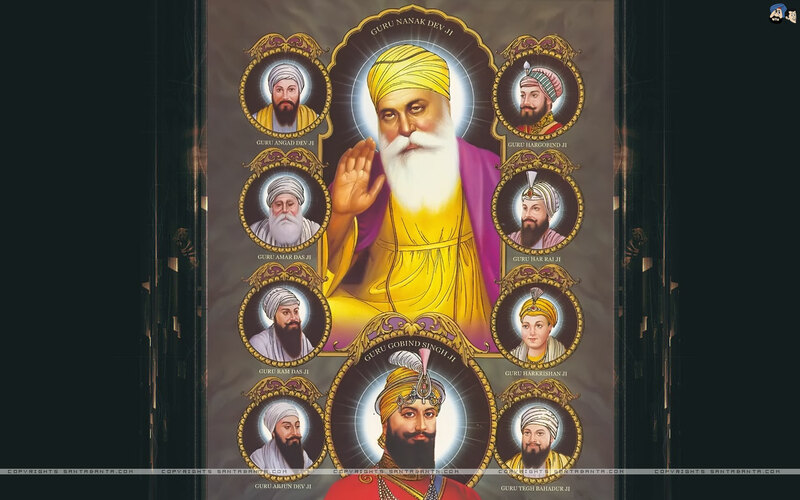 Through his words as well as deeds he underscored the essential features of the Sikh teachings and repeatedly warned his followers against the pitfalls involved in the Brahman’s emphasis on pilgrimage, ritualism or formal reading of Vedas and Shastars. He also left no opportunity to caution them against the futile practices of the Udasis, Yogis, Naths, Tapas and Sidhs (all ascetis of one kind or another. A good number of these ascetics fell under his spell and adopted his creed. 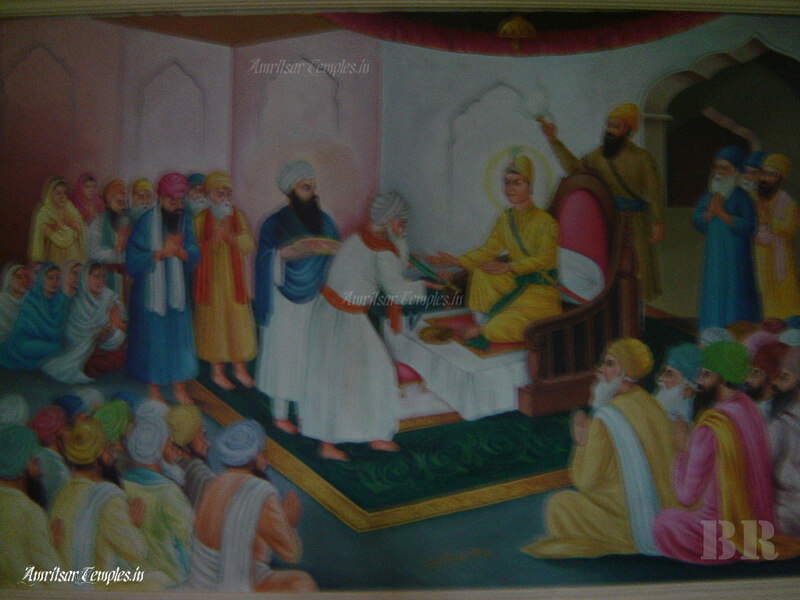 Before he was appointed as Fourth Guru, just after completing the Boali at Goindwal, third Guru Guru Amardas ji had sent him to a magical place in the vicinity of the villages of Sultanwind, Tung, Gumtala and Gilwali, all at the pargana of Jhabal in the Taaluqa of Patti, which formed a part of the Suba of Lahore ruled by the Mughals. Guru Amardas ji wanted him to establish and create another Sikh center apart from Goindwal. 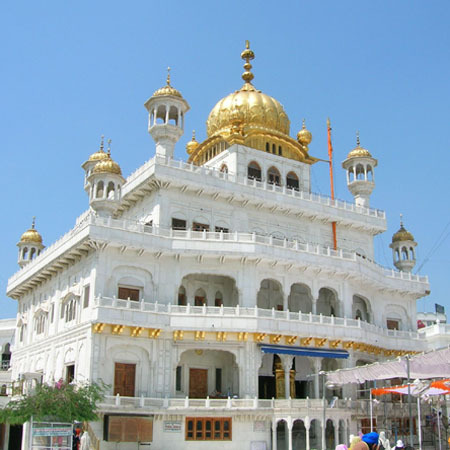 Guru Ramdas was so immpressed with this place that he started visiting it every Sagrand (The first day of the Punjabi month) and Amavasaya (the dark moonless night of the month). Bhai Jetha purchased this area with wild shrubs(Ber trees) and jungles on the payments of Rs 700 to the Zamindar of village Tung., later villagers of Sultanwind presented more land to Guru out of regard and reverence for the Guru. 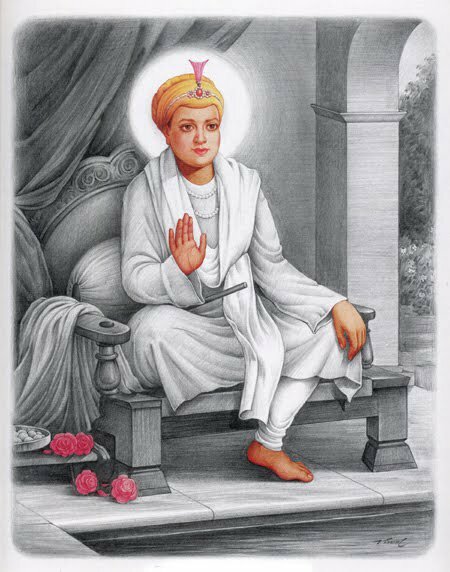 Earlier, Emperor Akbar also had gifted a tract of land in the vicinity to the daughter of Guru Amardas ji Bibi Bhani, Guru RamDas’s wife. 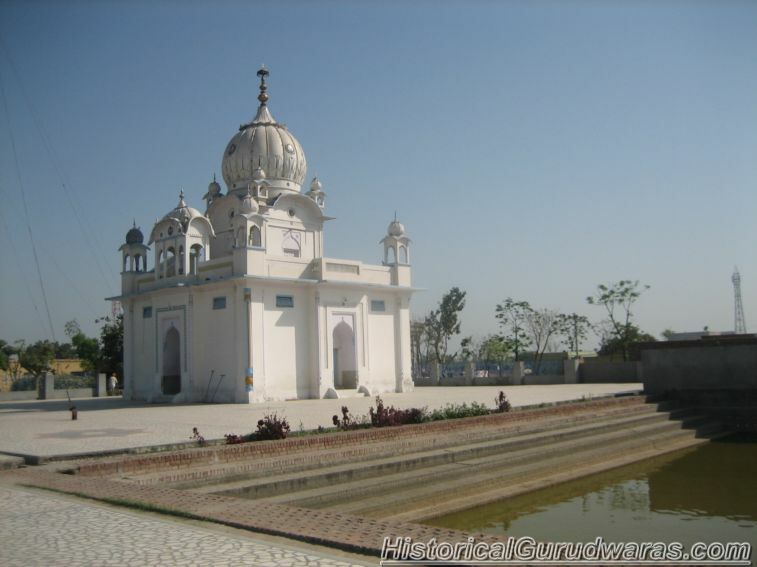 After obtaining land for the purpose of creating the Sikh center, he was told by Guru Amardas ji to excavated a tank (now called Santokhsar at Baba Atal) that he did, as well as created a small house for himself. Thus he founded the town of Ramdaspur (later Amritsar) which continues to be the centre of Sikhism till today. Just then Guru Amardas ji were nearing his end and thus Amritsar project had to be put on hold for some time. 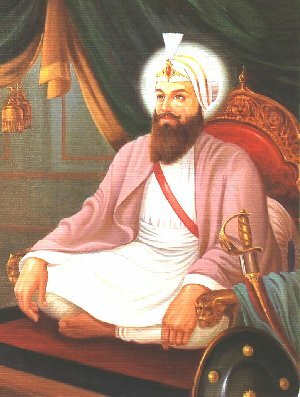 Guru Ramdas ji decided to start it again in 1577 and thus year 1577 has gone down in the history as the foundation year of the Amritsar. Guru Amardas ji had again told him to excavate another tank about 1 km down from the old one. This is the current Sarovar of the Golden Temple. He dug a tank which became the principal place of pilgrimage. Traders and artisans were invited to settle at the town so that its growth could be rapid. In due course it became the largest commercial centre in northern India. Phrase came to be associated with the tank dug at Amritsar which was “Ramdas Sarovar Nahate, Sab uttre paap kamate”, “I bath in the tank of Ramdas and all my sins were washed away” . It was a landmark in the life of the community, because the Guru established a central place that was quite distinct from that of the Hindus and the Muslims. Since then Amritsar is for the Sikhs what Mecca is for the Muslims. All this indicates that the Guru had a distinct sense of his mission and did everything to establish it as a separate religious system and entity.